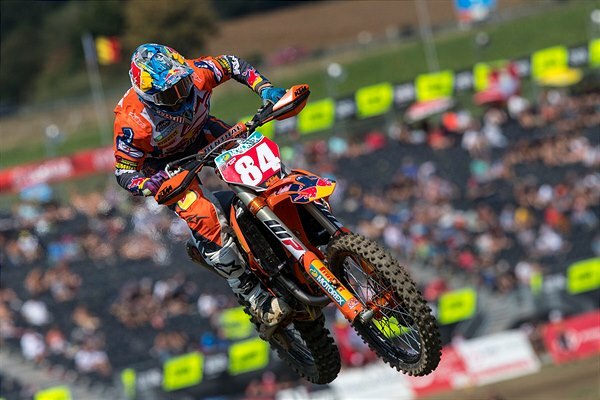 For the third year in succession the Frauenfeld-Gachnang circuit staged one of the more memorable rounds of MXGP with fine weather, a technical, fast and challenging course and a hefty attendance enhancing the Swiss Grand Prix experience. 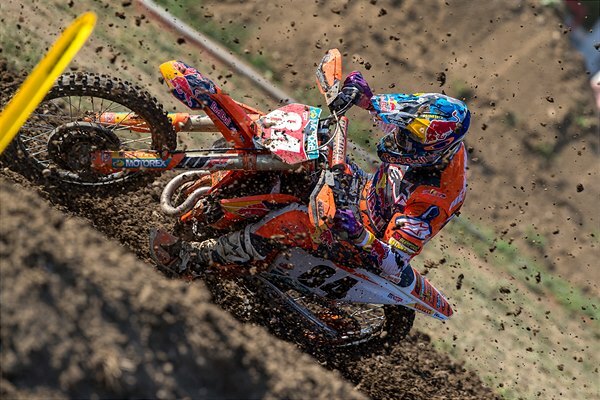 The largely flat layout involved rutty and bumpy soil and was home to more Red Bull KTM glory. 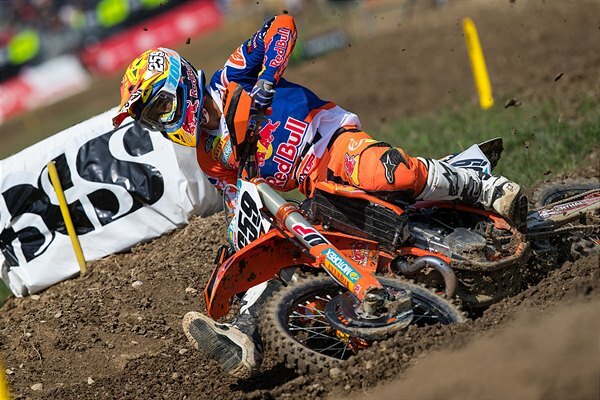 Jeffrey Herlings increased his margin at the top of MXGP from 36 points to 58 over teammate Tony Cairoli thanks to another sledgehammer of statistics in Switzerland with his KTM 450 SX-F. #84 logged his fourth perfect scorecard in a row and has swept Grands Prix in Holland, Italy, Portugal, Latvia, Germany, Britain, France, Indonesia, Czech Republic and Belgium. He has 25 chequered flags from a possible 32, 13 wins from 16 and has missed the podium only once. 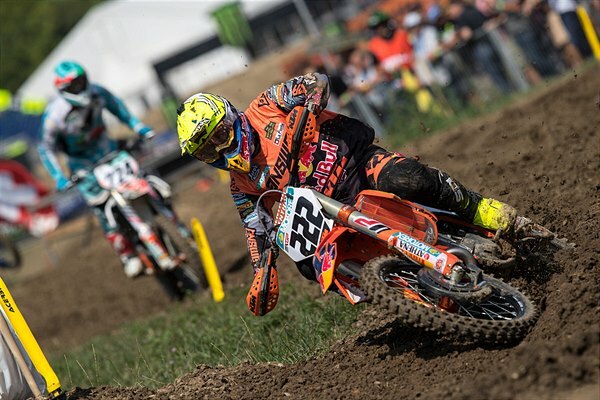 The Dutchman surprisingly suffered a crash early in Saturday’s Qualification Heat which opened the door for Cairoli to engage in some excellent racecraft and secure his fourth Pole Position of 2018. 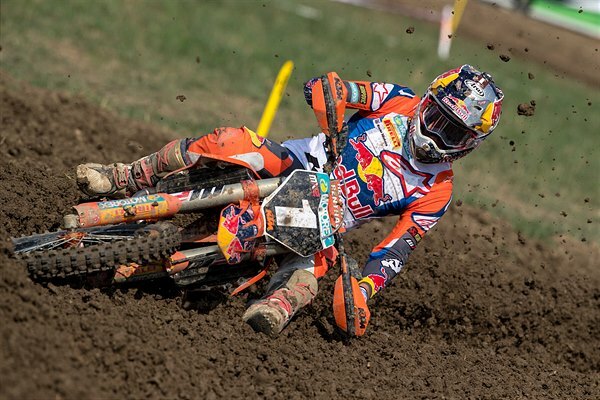 Herlings came back to 6th and did not repeat the mistake on the second turn of the opening moto on Sunday: the Dutchman attacked the corner with verve and was soon past Clement Desalle and controlling the 30 minute and 2 lap dash from the front. 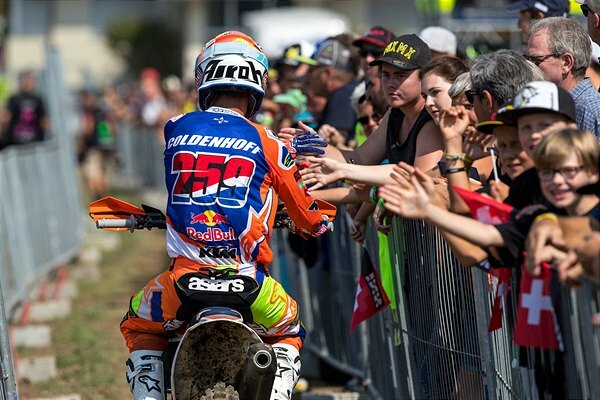 Cairoli struggled with a crash that cost him time and positions – as well as a tweaked knee and damaged motorcycle - and crossed the finish line in 8th. 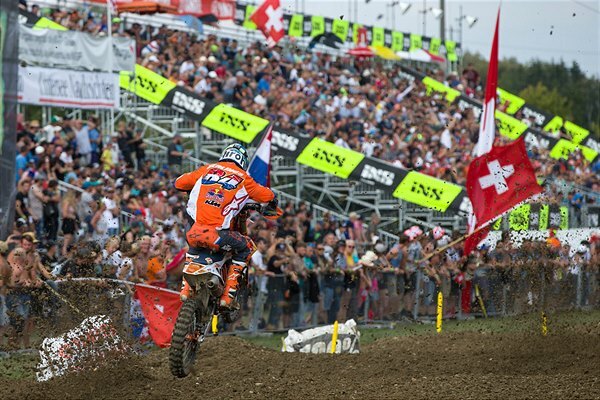 The second moto was another display of authority by the championship leader as Herlings again ran free. 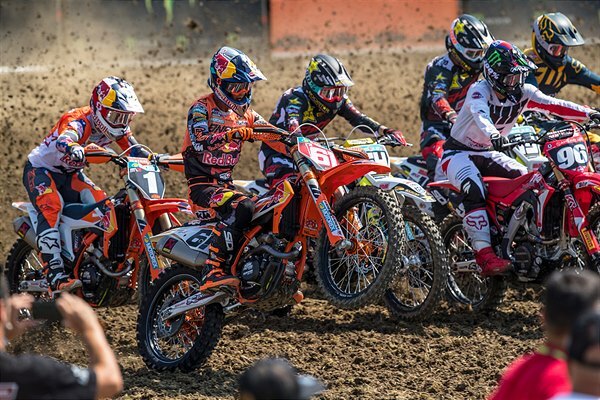 Cairoli rode brightly in spite of the distraction of his knee and his 6th place meant 7th overall and just the third time in 2018 he has missed an MXGP podium ceremony. For the second Grand Prix in a row Glenn Coldenhoff just missed the rostrum with 4th overall. 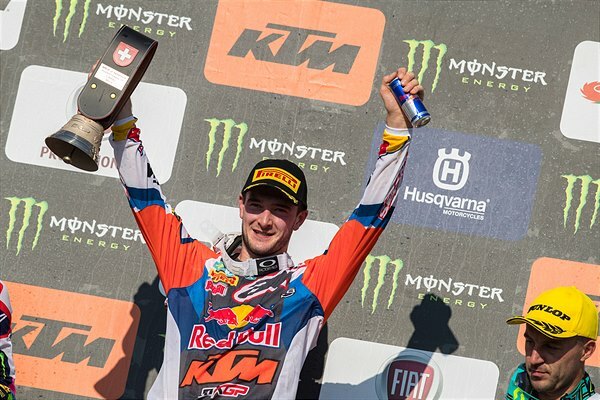 The Dutchman placed his KTM 450 SX-F into the gate with the 16th pick after being held-up by Herlings second corner qualification fall on Saturday. Coldenhoff had a great first performance on Sunday when he rode to 4th spot (following-on brightly from his 3rd in Belgium two weeks previously). 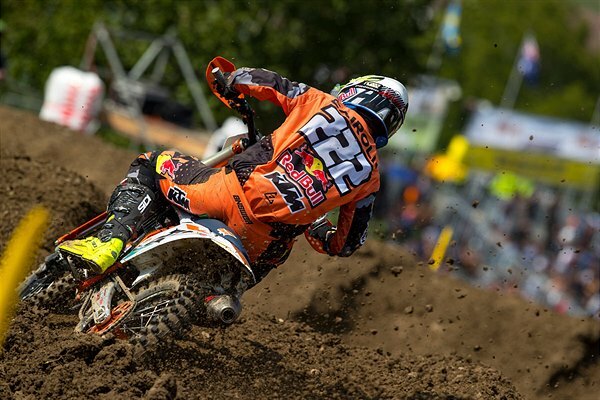 #259 then recovered from a poor start to make the top seven in the second moto. 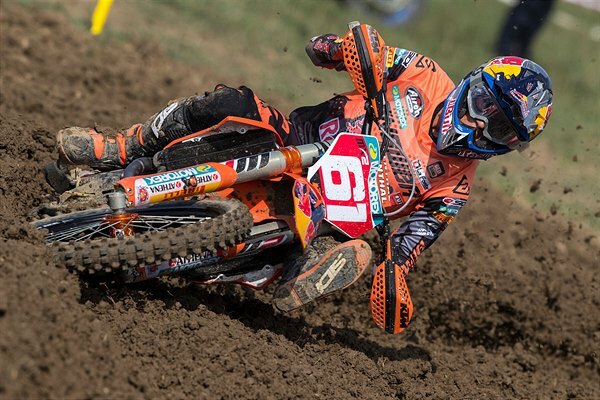 Coldenhoff remains a clear 7th in the MXGP points table. 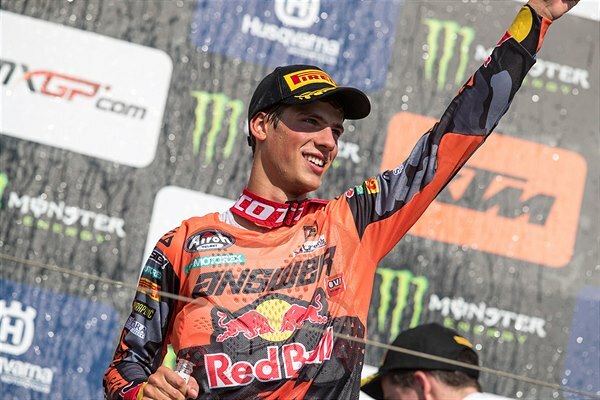 Jorge Prado and Pauls Jonass treated the Swiss crowd to a fantastic first MX2 race where the battle for the chequered flag went down to the final minutes. 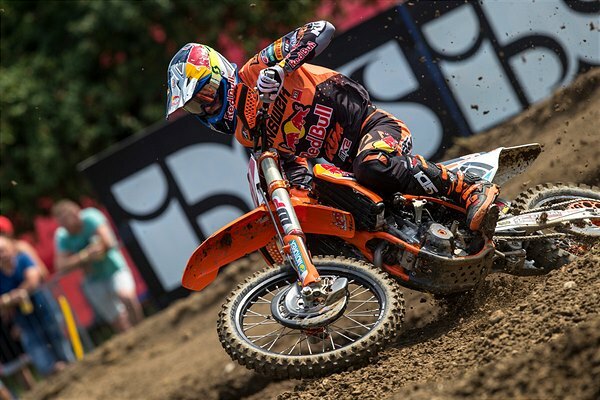 Jonass resisted his teammate and claimed his first victory on the KTM 250 SX-F since the Grand Prix of Indonesia, three rounds previously. The pair swapped positions in the second moto. Prado’s typically proficient starts helped him to create an early gap as Jonass toiled to relegate Ben Watson. Once into second, the Latvian tried to shrink the deficit to the Spaniard but ran out of time. 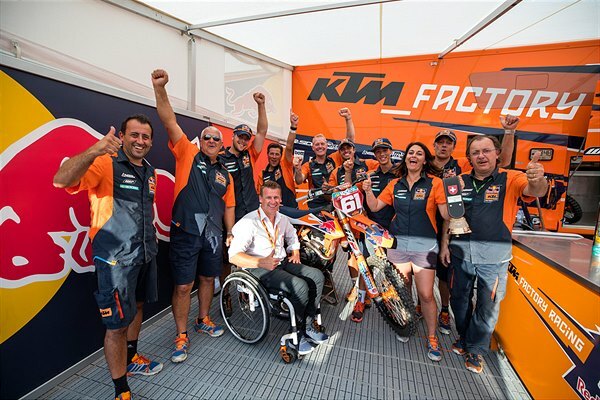 The duo shared the same points but Prado registered his fourth overall win on the bounce courtesy of his second moto triumph; this was the eighth occasion this year that the seventeen year old was able to excel at the second time of asking at a Grand Prix. Jonass uncorked champagne again after missing out in Czech Republic and Belgium. The window between #61 and #1 remains pegged at 28 points with a maximum of 200 left. 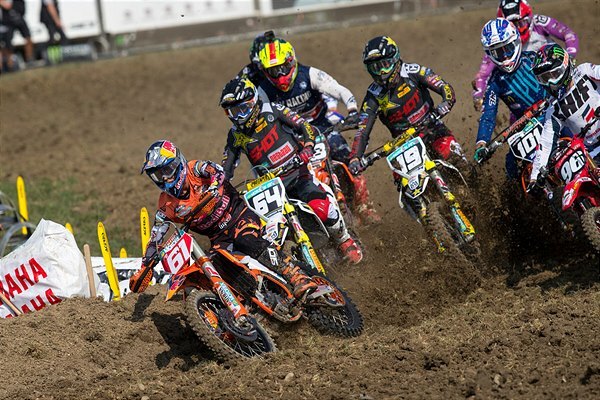 MXGP shuffles immediately east this week and returns to the former award-winning circuit of Sevlievo for the first time since 2014 for the Grand Prix of Bulgaria in seven days time.